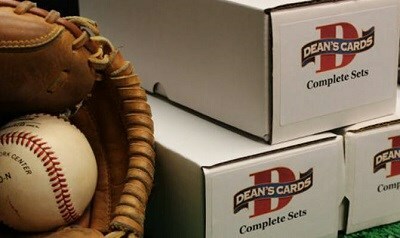 The 1950 Bowman Baseball Card Set includes 252 color cards that measure 2 1/16" by 2½". The 1st series of the 1950 Bowman set, cards #1 to #72, were printed in lower quantities. The 1950 Bowman cards numbered 181 to 252 were printed both with, and without, copyright statements on the last line of the cards' back. The cards without copyrights are less common, but not rare. The 1950 Bowman Baseball Card Set had a very weak rookie card class, which keeps the set very affordable. The only rookies of note are: #23 Don Newcombe, #219 Hank Bauer and #232 Al Rosen. CLICK HERE if you want to sell your 1950 Bowman Baseball Cards. Showing 1 to 100 of 305 products.